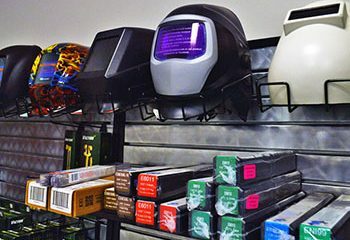 Depke Gases & Welding Supplies supplies Northern & Central Illinois, Northern & Central Indiana and Southern Wisconsin with a full line of welding tools, equipment and supplies. 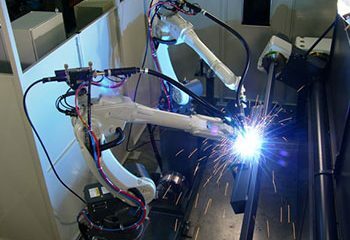 Depke Gases & Welding Supplies technical representatives receive the latest in training and certifications. We work closely with our customers to reduce costs on both sides of the supply chain and develop a proactive rather than reactive supply management process. As a member of the Independent Welding Distributors Cooperative (IWDC), Depke Gases & Welding Supplies connects our customers with major gas manufacturers and brand name welding products, along with Weldmark® private label items made by leading manufacturers. Our association with the IWDC gives Depke Gases & Welding Supplies the purchasing power and marketing abilities of a major corporation. 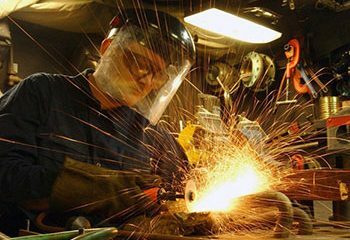 Depke Gases & Welding Supplies has what you need to get the job done right. We’ve been in the industry since 1928, and our legendary customer service and sales teams have the knowledge to help you get the most out of each product that we provide. To see a complete list of brands that we sell, click on the linecard button below.